A D shape, extra heavy ladies' wedding band crafted from rose gold, affording classic and versatile style suited to all attires. Band width measures 2mm. 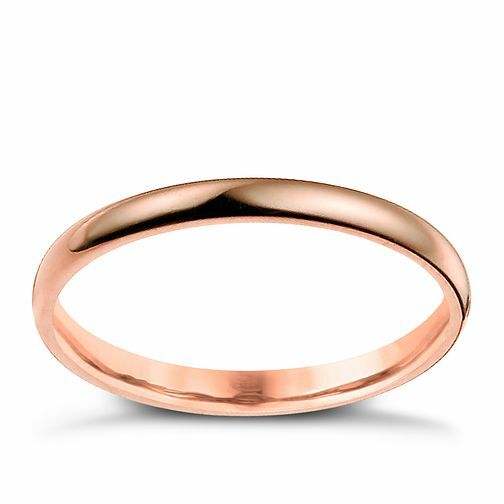 9ct rose gold 2mm extra heavyweight D Shape ring is rated 5.0 out of 5 by 1.